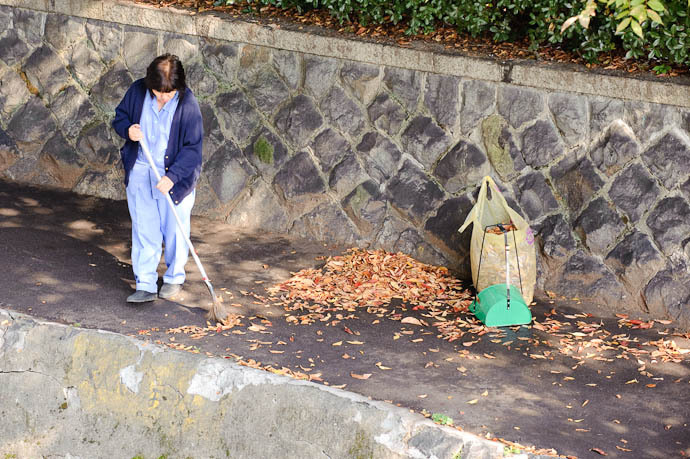 Kyoto is starting to see splashes of color all around, quite earlier than I expected (which says something either about an early season, or my failing memory). These pictures were from yesterday, which was a mix of sun and clouds. 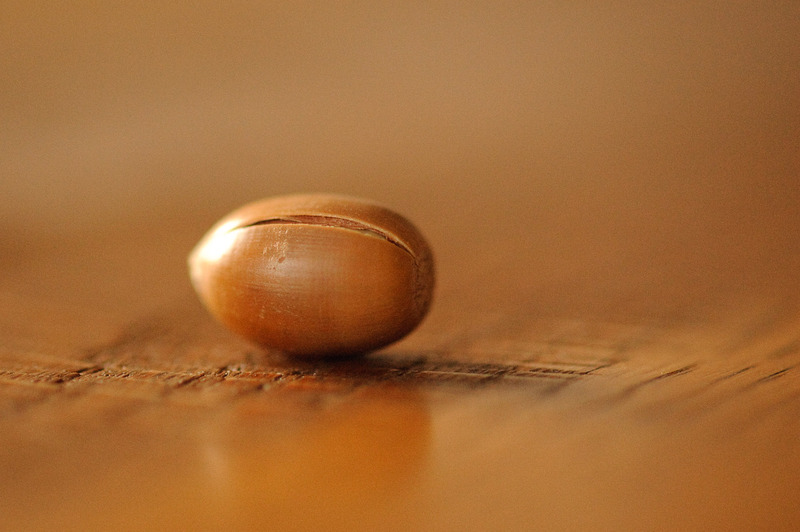 The previous day saw some rain in the morning, and when Anthony came home and opened his umbrella to air it out, this acorn fell out. He had apparently picked it up somewhere along the way home and deposited it in his folded umbrella for transport. Yesterday he brought home a pumpkin seed that he procured somewhere, so we're off to a good start on this year's plate full of Autumn. 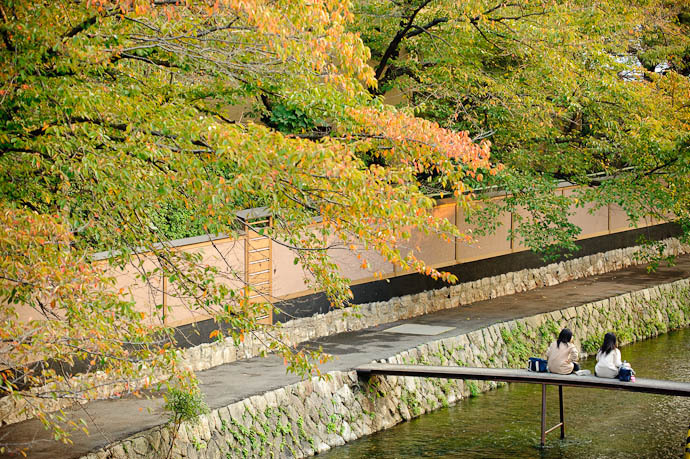 I love fall in Kyoto... it's just glorious.... just one of many reasons that I hate living in Kyoto. I've done many posts with autumn colors over the years, a list of which can be found in my Fall Colors category. 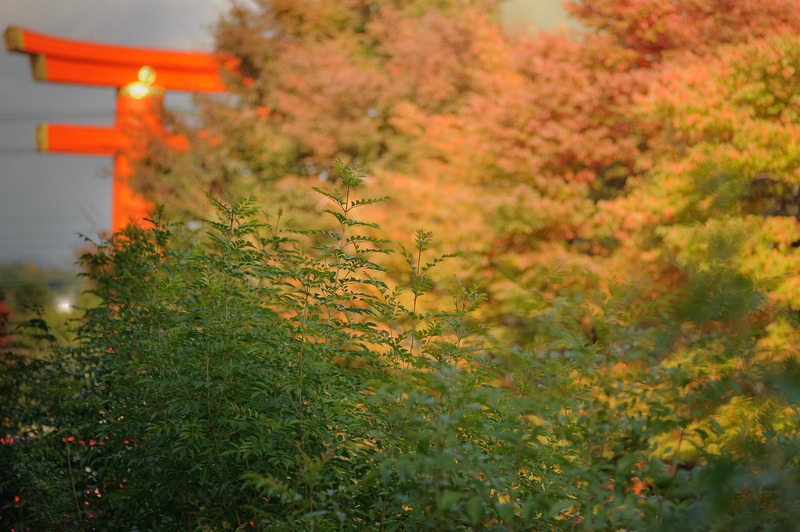 Three “Fall Color Preview” posts from last year (parts I, II, and III) and a post about a temple foliage lightup event give a good overview of autumn in Kyoto. In preparation for the next month of photo opportunities, I should review my “Making the Best of Bright Light in Fall-Color Photography” post from a couple of years ago. 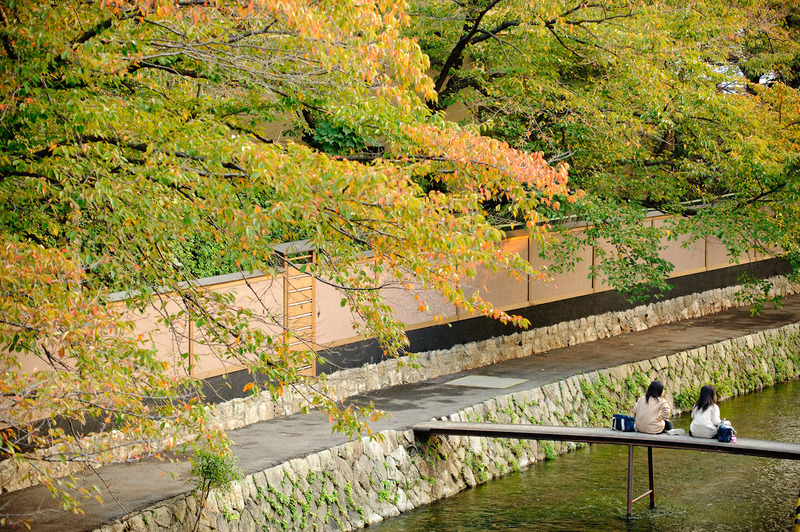 Did you see the Kyoto in the Fall app on the iPhone store? It seems pretty popular. I’m sure you could produce a much superior one! I much prefer Anthony’s Contribution. at your parent’s place so suspect Kyoto is not that much different. “Starting to See a Bit of Color” seems to growing on me; it was hate at first sight (obviously, initially). Initially out of focus areas attracted more attention than the green plant in focus. The parts of the plant that are in focus (middle to left) have same as or low(er) brightness than the much bright(er) OOF background. As such the green plant does not stand out solely on sharpness of focus. All in all, there was nothing in particular “interesting”. On later visits I started to note the colors themselves. So instead of seeing the image as “green leaves in focus on bright, light, blurred colored background”, I now see the image as layered patches of colors.